03 Oct What’s ‘Play’ Got To Do With Business? 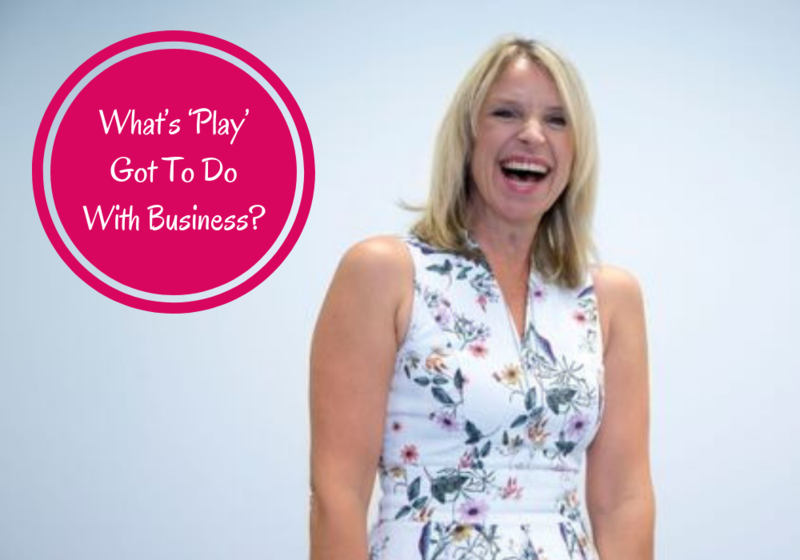 What’s ‘Play’ Got To Do With Business? Every week I lead an online class I teach virtually with AUT Adjunct Professor Mike Hutcheson on Innovation and Entrepreneurship. Today I’m buzzing! The sharing we do on the live calls always inspires me and this week’s class was no different. 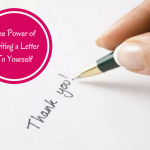 It’s great fun to teach this ‘work’, but the piece that always buzzes me the most is when we get to see how it actually helps bring people’s ideas to life with a forum of like-minded, crazy (that helps!) innovators or business builders and they get to test, validate and quantify their ideas instead of going it alone. We provide the deep dive questions, content and activities each week that get them really thinking differently. Today’s class concluded with us encouraging the participants to add play to their business day. What is interesting is that we aren’t born with playful minds, we create them. So we must be actively creating them through choosing to play. Multiple research studies have demonstrated the power that play has on our ability to think and work creatively. When we play, we feel lighter, more uplifted, invigorated, joyful and are more creative. Things therefore flow better and we inherently feel more playful. It’s soooo important to the success of our businesses that we maintain our creative attitudes as we grow older. I guess that’s why I like to play so much! Through play we can laugh, joke around, be silly or for that matter, be anyone or anything we want to be. When we play, we remove limits that otherwise constrain us to what we currently know to be possible. It’s by removing those constraints and opening ourselves to diversity (through play) that creative insights become the norm of what we’re doing. 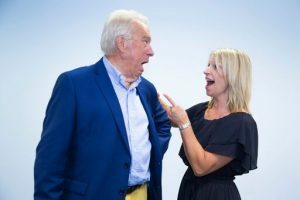 Laura Seargeant Richardson, author of ‘The Four Pillars of Play,’ tells us that the reason adults – and now more often than not: older children – lack open minds is because we are designed to be players in the game of life, rather than creators. We feel the same way with our students. We WANT them to think completely different so that they come up with new and inspirational ideas to take their product/service to market. And we want them to have fun in the process. What can you do to introduce/reintroduce play into your life/business/career? 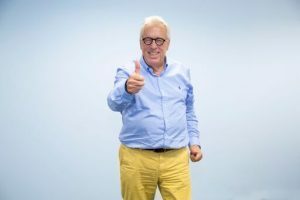 This article The 8 great ways to have fun at work’ outlines some great tips if you are stuck on how to have fun at work or while you work! Don’t take anything you do too seriously and you’ll be amazed how much better your day flows. Thanks to our current students for making time in your day to top up your tank and ‘play’ with us! We’re looking forward to you presenting your business plans and proposals to us at the Dragon’s Den style Review Day in November! If anyone wants to ‘play’ with us for the next intake of our Practical innovation and Entrepreneurship Course, we’d love for you to join us! Our next intake is during Summer School. (and Mike Hutcheson featured here too! ).